In its first month of business, the new Italian restaurant Porta, located in downtown Amherst, is involved in a lawsuit with a restaurant of the same name. According to the lawsuit, which was filed on Feb. 20 to the Springfield District Court, the plaintiff, Pink and Red, LLC, is suing the Amherst restaurant and its owner, Richard Annunziata, over trademark infringement, trade dress infringement, unfair competition and false designation of origin. Pink and Red, LLC is the registered holder of the original Porta restaurant. 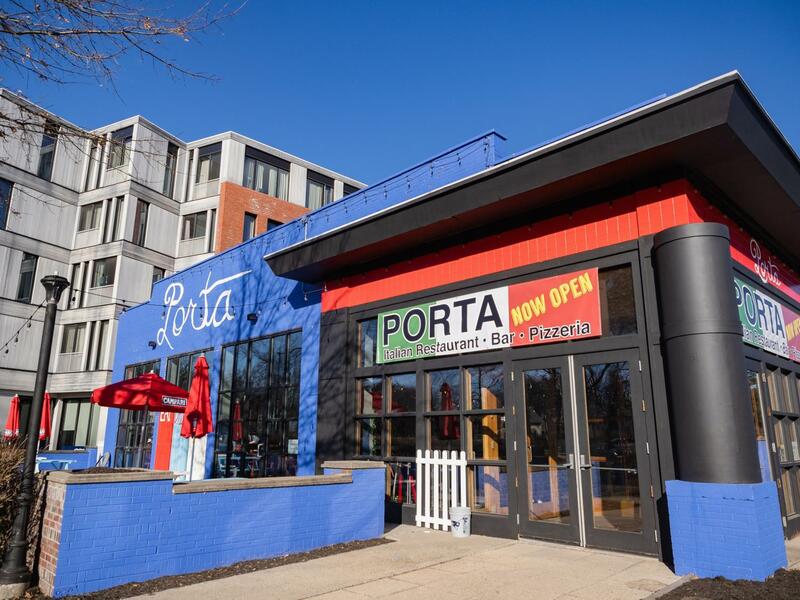 The lawsuit also claims the defendants “upon information and belief” intended to use Porta’s trademark brand to start their own restaurant. On Oct. 4, 2018 the defendants filed an application for design review to the Town of Amherst regarding their restaurant. Part of the application requires a photograph of the establishment one wishes to be designed. According to the document, the defendants had submitted a photograph of the plaintiff’s Porta restaurant in Asbury Park, New Jersey, thus indicating the defendants would have liked for their establishment to replicate the New Jersey restaurant along with their same trademarks. The defendants did not disclose that the submitted photograph was of the plaintiff’s restaurant. On Oct. 31, 2018 the plaintiffs sent a letter to the defendants requesting they cease all use of Pink and Red, LLC’s trademarks and copyrights and cease from falsely representing themselves as the owners of Pink and Red, LLC’s Porta restaurant. “In the event that you fail to timely respond and/or that your responses are not satisfactory, P&R will not hesitate to take any actions it deems appropriate to enforce its rights, including without limitation a lawsuit against you personally seeking remedy for the aforementioned violations…” said the letter. The Amherst restaurant still remained to promote itself on Instagram with aesthetics copied from the original restaurant “right down to the finest detail,” according to the lawsuit. The only reported difference being the Amherst restaurant’s utilization of “EAT DRINK BE TRUE” which they state they have changed from “EAT DRINK BE HONEST” since the parties’ correspondence. The lawsuit also claims there has been customer confusion surrounding the ownership of “Porta” since the Amherst restaurant’s establishment. Several customers have contacted the plaintiffs through Instagram direct messages asking whether they have opened up a new location in downtown Amherst. The lawsuit then further sets to claim several counts of false designation of origin and unfair competition – which are violations of Chapter 15 of the United States Code subsection 1125(a). The unauthorized use the trademarks “PORTA” and “EAT DRINK AND BE HONEST” and/or “EAT DRINK BE TRUE” and trade dress have all caused the plaintiff damage, according to the lawsuit. Furthermore, the plaintiffs argue the defendants are using unfair methods of competition which are violations of chapter 93A of the Massachusetts General Law section 11. Both the plaintiff and Porta in Amherst have declined to comment on the lawsuits. Alvin Buyinza can be reached at [email protected]and followed on Twitter @abuyinza_news.